These bad breath and public speaking information and comments have not been evaluated by the FDA. I would love for them to evaluate my comments. It might make it possible to help others with the problem. Thus, my comments cannot be construed as a cure, treatment, or diagnosis for any disease. You need to go to a doc or dentist to get a diagnosis and recommendation of how to treat that diagnosis. What do bad breath and public speaking have in common? If you’re a professional public speaker you will have to get up close and personal at some point in your career. Your breath becomes a part of your essential equipment. If you are affected by odoriferous breath then your essential equipment and possibly your health are at risk. The most basic care for that mouth, brushing your teeth alone, may not care for the problem. Eight bad breath solutions are discussed here. The last is special as it is something unlike anything else on the market because you have to make it yourself. This is the solution to the problem facing public speakers related to the most essential tool of the trade, the mouth. Up to 90 percent of all bad breath is believed to originate from the mouth. It can vary during the day depending on the dryness of the mouth, the foods eaten, smoking and drinking alcohol. Chronic bad breath can affect by some estimates up to 25 percent of the population. It can affect our personal, social, and professional relationships. It can lead to embarrassment, stress, and decreased self esteem. The cause is in many cases the result of the metabolic activity of some types of oral bacteria as they process proteins in the mouth. Dentures, dental work, food impaction, and abscesses can be among the causes of bad breath or halitosis. The worse offender is the tongue. The odors are the result of anaerobic breakdown of proteins into individual amino acids. It is interesting to note that the breakdown of cysteine produces hydrogen sulfide. This is important as we will come back to this one. Actually this is an integral part of the better breath cure. There is still controversy over the contribution of periodontal disease toward bad breath. Other causes of bad breath may be attributed to nasal infections, tonsils, rarely some diseases and conditions. Also H Pylori, constipation and yeast infections. Because of the prevalence of mistaken self diagnosis, if you have bad breath or halitosis, it would be prudent to get checked out medically to rule out disease. Some could include liver failure, bronchial infections, kidney infections and renal failure, metabolic dysfunction and diabetes. Most likely there would be other symptoms also involved. Literature suggests you can scrape the back of the tongue with a plastic spoon and to smell the drying residue. A spouse, or close friend willing to smell and tell is the best way to find out. There are tests available but the human nose often knows best. Dental offices and specialized commercial breath clinics can diagnose and treat bad breath. They typically use laboratory methods for diagnosis of bad breath. Eat the right kind of breakfast. Rough foods clean the tongue. Avoid foods like garlic, onions, meats, fish, and cheeses before giving a speech. Also avoid alcohol and smoking prior to delivery. They are not only improper means of stress management, they are not the best either. Clean the tongue with a tongue scraper or tongue brush. It needs to be gentle. Increase salivation by chewing sugarless foods given to continued chewing. Saliva has antibacterial properties so the more you create the more you suppress the bacterial growth. Also the more you mechanically get rid of the causes of bad breath. It is important to chew with your mouth closed. Home remedies include fennel seeds, cinnamon sticks, mastic gum and fresh parsley. Although gargling can reduce morning breath, it comes with a bad side effect. Studies have shown that mouthwashes containing alcohol dry out the mucous membranes in the mouth. Dry them out and you have less saliva. Less saliva and you have a dry mouth which in turn promotes bad breath. Over use can damage one of the most important tools public speakers use to support themselves. Hydrogen peroxide is a common home remedy type of mouth wash. It can be dangerous if incorrectly mixed. Some holistic treatments include so called pharmaceutical grade hydrogen peroxide and only a small number of drops are to be consumed in a glass of water. We suggest that because of the risks, this not be considered unless prescribed by a doctor. Be warned that mistaken dosing and mixes can cause internal bleeding, it can destroy beneficial bacteria and is an irritant to both the eyes, lungs and mucous membranes. Mouthwashes include both chemical and natural types with varying benefits and risks. Some even include oils that have been found to be effective. Maintain body hydration. 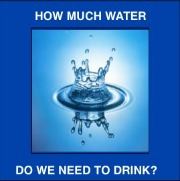 Best case, follow the Water Cure by drinking 1/2 your body weight in ounces of water. With this, add 1/4 teaspoon of sea salt on your tongue after taking a first sip of water. Also, drink 1 but not more than 2 (32 oz max) one half hour before before you eat. Maintaining proper oral hygiene. Brushing and flossing is basic care to eliminate bad breath. Gargle with a 50:50 mix of lemon juice and filtered water. Then eat a spoon full of unsweetened yogurt. The probiotics of the combination will seek and destroy the space invading bacteria inside your mouth. It should keep your breath fresh for about 12 hours. This is the symbiotic use of foods. In an emergency, you can always count on an apple. Keep one by your night stand if you want fresh breath before you get out of bed. Keep some slices with you in a bag when you are on the road.